This spectacular summer salad is very high in protein and adds beautiful colour to your summer table. 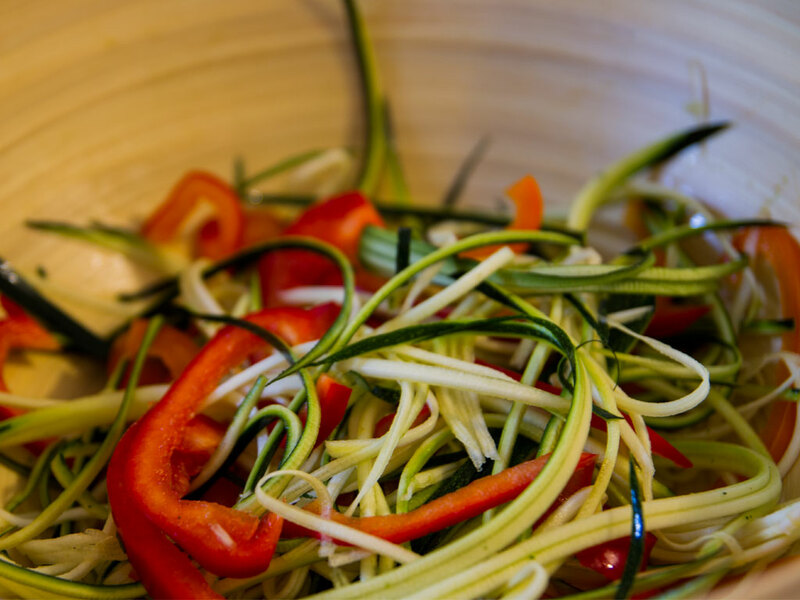 To julienne veggies I would suggest purchasing a julienne peeler. They usually come with 3 different blades and are a handy little gadget to have around the kitchen. 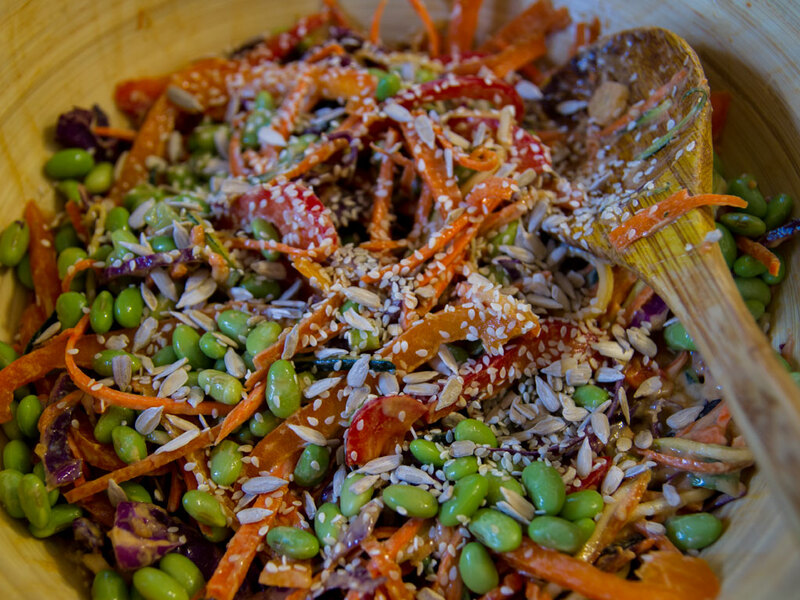 Top bowls with edamame (or tofu), green onion, hemp seeds, and sesame seeds. Pour on dressing and enjoy!